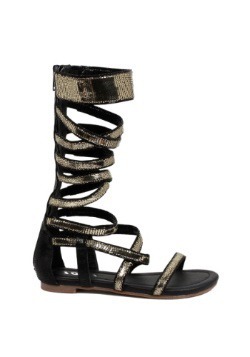 So, you want to be a Roman Empress? We don't blame you. Just look at the togas they got to wear! 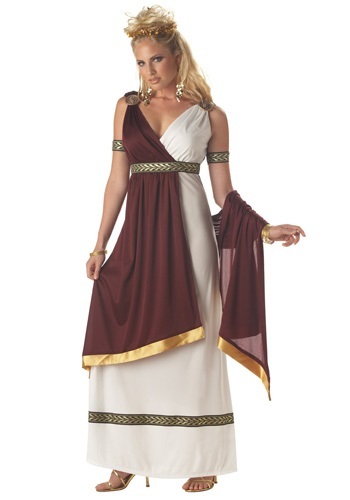 This toga will leave you feeling like a Roman Goddess. 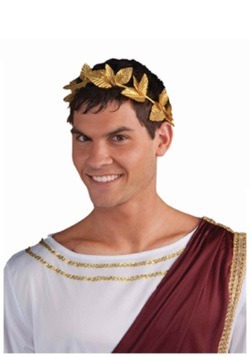 And if the togas aren't reason enough, just think of the power you would have! You would be ruling one of the most powerful empires of your time, and you would have complete control! We suppose that would make you the most powerful woman on the planet. Doesn't sound too bad, does it? What would you do with all that power? We know what we'd want to do! We'd want to get a beach house on the Mediterranean coast and eat fresh grapes and sip wine all day. Sure, it's not the most productive way to spend a day, but you know what they say "Rome wasn't built in a day." So, you take a day off and relax by the sea. You're the empress, you can do what you want! 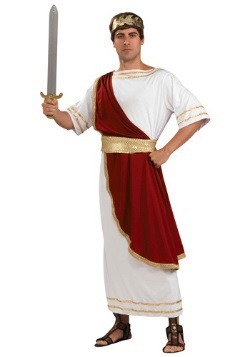 This dress style toga comes all as one piece, making it much simpler to wear than a homemade toga! It has a maroon drape across the right shoulder that can be worn a variety of ways! You'll also be wearing black and gold armbands, and two medallions on your shoulders. The armbands slide into place, and the medallions fasten on with safety pins. Once you are wearing this whole ensemble, you will feel ready to conquer the world! How would you want to spend your day if you got a day as a Roman Empress? You could have a party in your palace? It won't matter if you trash the place because you're only the Empress for the day anyway. So, enjoy your day, live it up and don't let people forget that you are the Roman Empress!